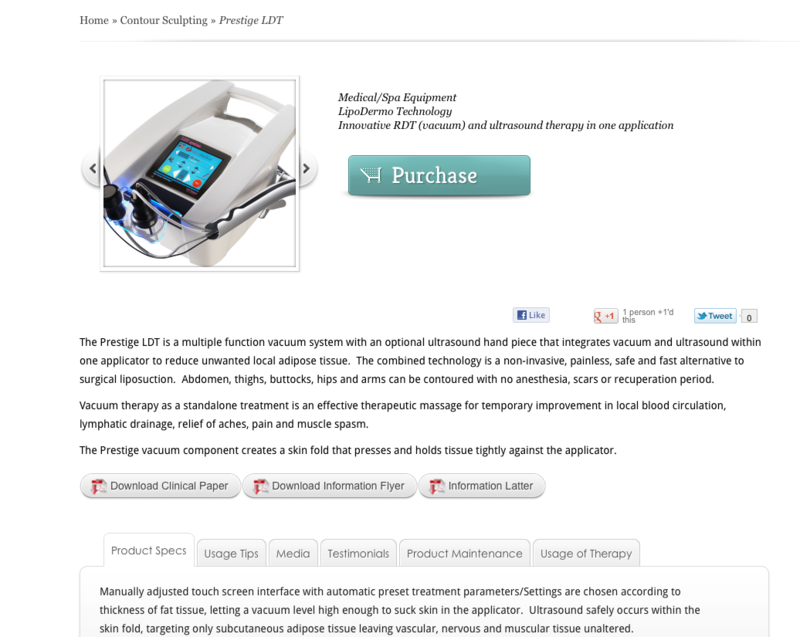 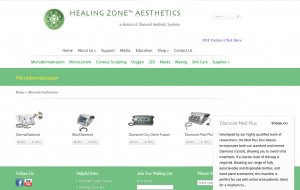 Healing Zone Aesthetics, previously Diamond Aesthetic Systems, is and aesthetic equipment and supply company. 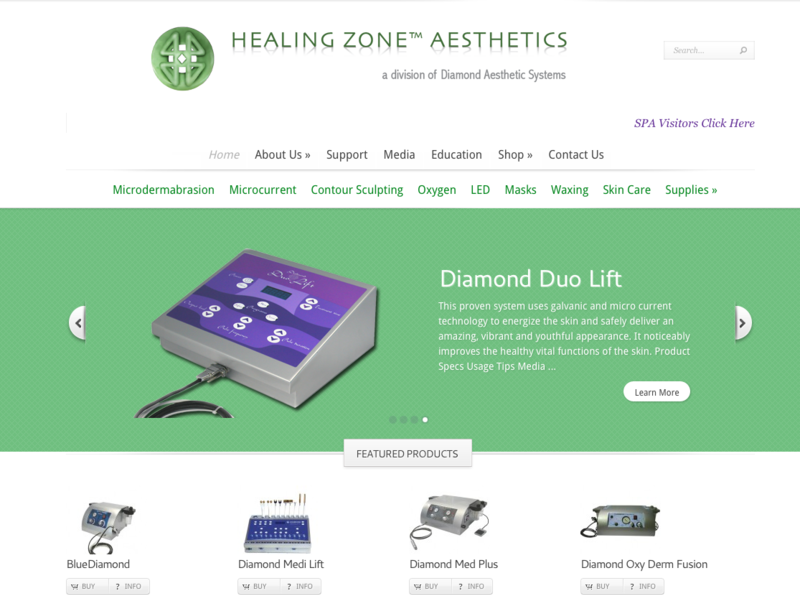 I build this site as an e-commerce site, and designed some of the product logos, brochures and spec sheets. 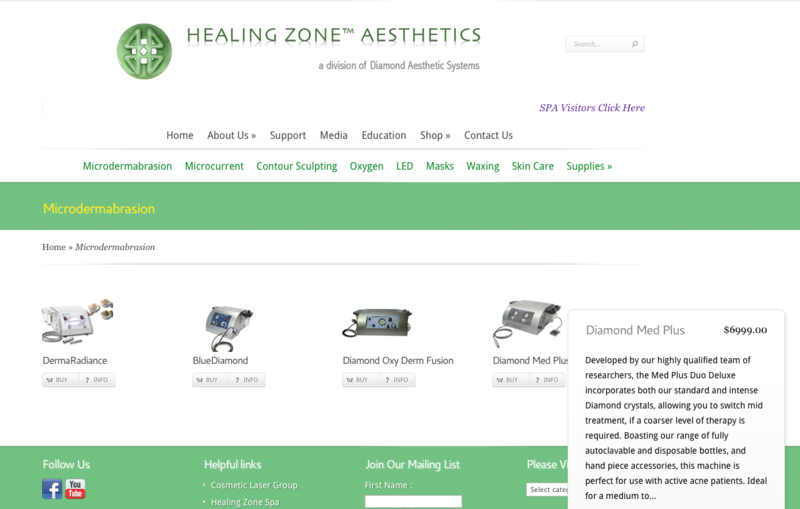 To see the entire site, please click here.